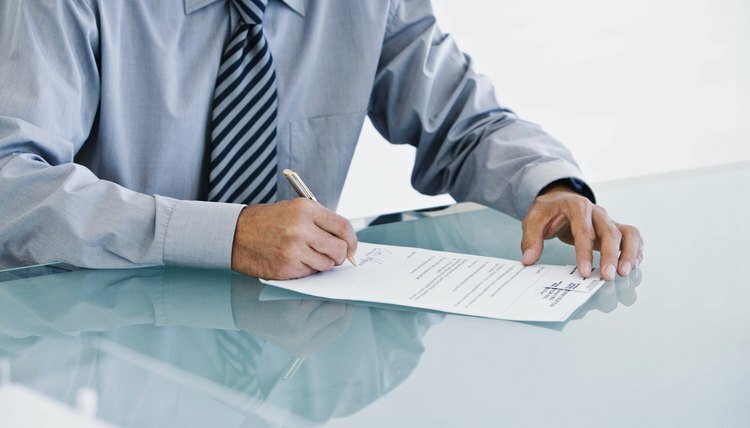 A power of attorney is a legal document authorizing someone to act on your behalf. The person you appoint is known as the agent, and you are referred to as the principal. POAs are commonly drafted to cover either health care or financial matters in the event you become incapacitated, often due to illness or advanced age. The decision about whether you are incapacitated is generally made by an attending physician or psychologist, who declares you unable to make competent financial or medical decisions. Some POAs, called durable POAs, take effect immediately -- before you are incapacitated -- and continue through incapacity. Others, called springing POAs, take effect only after a specific event occurs, such as you becoming incapacitated. Both health care and financial POAs must be executed, modified, or revoked while you are still competent. If you attempt to appoint an agent to act after you have been declared incapacitated -- or even if you just change certain instructions to your agent -- complications can arise. Although the process can vary from state to state, family members, close friends, or your health care provider may generally petition the court to either invalidate the POA or obtain an order invalidating any improper modification or revocation of an existing POA. In addition to complications related to your mental state, a POA can also be challenged for failure to comply with the formal requirements under state law. Although states vary on the specific requirements, POAs must generally be signed, written, witnessed and notarized. Some states also have specific rules on who may not serve as a witness to a health care POA, such as your attending physician, or people closely related to you. A judge will invalidate any POA that does not observe state law requirements. The agent you appoint to act under a valid POA must follow your instructions as outlined in the POA. In addition, state laws require that every agent observe what is known as the fiduciary duty. This duty requires the agent to always act with your best interests in mind. Under a health care POA, this duty might include seeking second opinions, exploring alternative treatment options, keeping your family members and friends informed, and ensuring that your religious or spiritual beliefs are considered. For financial POAs, this duty requires that your agent make prudent investments with your money and not use your property for personal gain. A complication can arise if your agent breaches his fiduciary duty. In cases where an agent has abused his position, a judge can order the agent removed. Further, in the case of a financial POA, an agent can be held liable for any funds improperly appropriated. Kehr Law: Springing or Immediate Durable Power of Attorney for Health Care: What is the Difference?